Singer Diana Ross, recipient of the GRAMMY Lifetime Achievement Award, poses in the press room at the 54th Annual GRAMMY Awards on February 12, 2012 in Los Angeles, California. Can you feel a brand new day?! 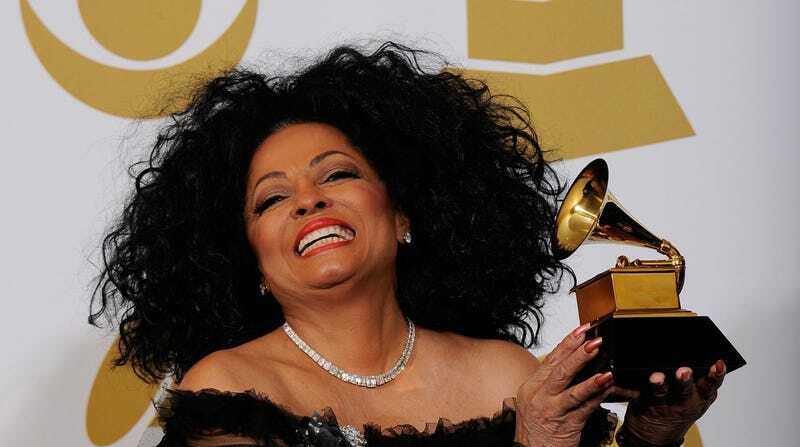 The Recording Academy is set to honor the legendary diva known as Diana Ross at the 61st Grammy Awards. Ms. Ross will also perform live at the awards ceremony, aptly dubbed a Special 75th Diamond Diana Birthday Performance. The living legend hits her birthday milestone on March 24. Of course, leading up to her Lifetime Achievement Award, everyone and their mama (and aunties!) couldn’t believe Ms. Ross hadn’t received an actual gramophone statuette, neither as a solo singer or with the Supremes. She currently has 12 Grammy nominees to her name. Ms. Ross deserves even more, so this official honoring ceremony is perfect. Plus, I’m sure the entire talented Ross clan will be in attendance to witness the matriarchal diva in action. Hosted by Alicia Keys, the 61st Annual Grammy Awards will broadcast live on Sunday, February 10 at 8 p.m. ET / 5 p.m. PT on CBS.